In this time of Economic Uncertainty Concentrate on our Health Than on Wealth. This is the best time to finish Pending Treatments. That’s exactly this Stock Broker Did ! 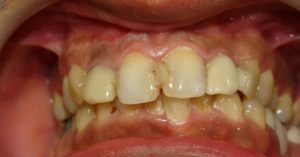 He took out time to treat his Decayed Teeth and Get A Brand New Smile ! Ceramic Veneers For That Perfect Smile !